The process of printing, otherwise just a technical procedure that serves to reproduce pictures and texts, is approached in this edition and examines itself in the process of printing. 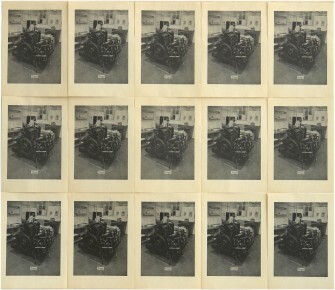 A photograph was made of the printing press. From this photo an autotype was made, a halftone plate usually used to print with this machine. The printing press has its own image and prints its own name. This printing procedure was recorded on video. 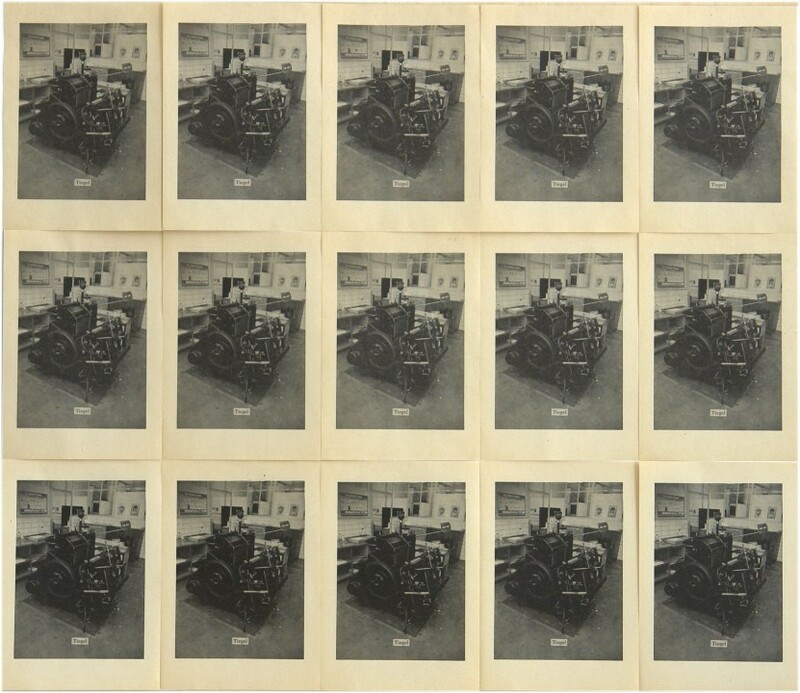 The edition is made up of the results of the print; its sale is a concrete and paradox continuation of this process.